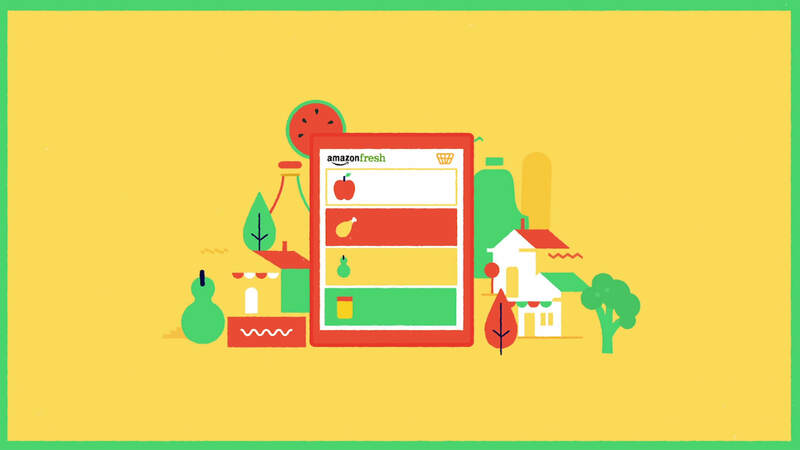 Mummu were appointed the responsibility of conveying the story of how Amazon Fresh delivers fantastic product to its customers, from supplier to fridge. By using a simplistic bold graphic approach to the animation, we were clearly able to detail the key stages of the journey, inspiring confidence and adoption of the the service from the day of launch. Using the brand colours we were able to create something fresh and distinctively Amazon.